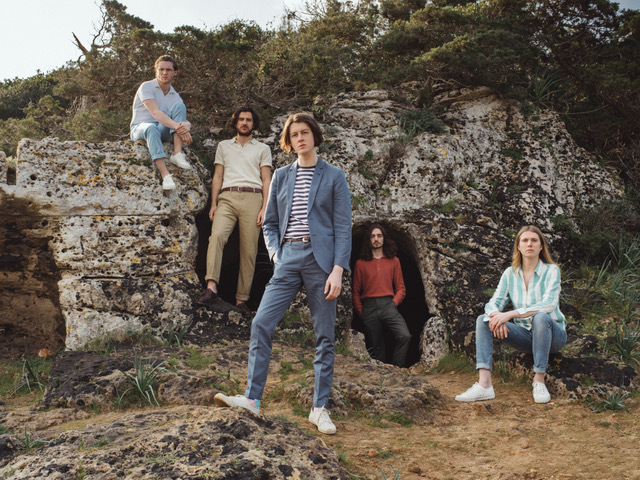 If there’s one thing that Blossoms’ Tom Ogden is good at; other than writing sweet indie pop gems, it’s naming World Cup winners. This talent is more Mastermind than Stars In Their Eyes, but the frontman of the Stockport quartet could compete for both. Over the last couple of years, the band have reigned over Indie Twitter and won over the critics. And that’s without an overly extraordinary story; just a few ordinary blokes into whodunnits on Netflix and being pissed off about rain fall in summer. That’s the thing about Blossoms; they’re just a few mates proving that the harder you work, the luckier you get. Humble to their hometown, proud as punch of their Northern inspirations and running with the old school approach to the music industry: write, release, perform. Repeat. Putting it down to restless legs and a craving to get into the studio, the band say that it “comes naturally to always be on the front foot.” Not necessarily boredom, but a creative itch that can be triggered simply from seeing a line from a book. Latest record, ‘Cool Like You’ is a step up. It’s a welcomed sign of confidence from a band quickly trademarking a sign as distinctive as the Stockport accent. Demonstrating their knack for writing a singalong earworm, the record crawls with them. Whether they’re spinning round a cotton candy machine and nesting in the sugary cone of ‘There’s A Reason Why (I Never Returned Your Calls)’ or in ‘I Can’t Stand It’ and slipping off the tongue with a bittersweet taste, the record is one that refuses to budge from the subconscious. We've been focused, thinking; right, what's next? The general gist is that long distance relationships are difficult. Catapulted into a non-stop touring schedule around the world, Cool Like You, narrates the past year for the band. “You've gotta write about what you're doing, haven't you?” Tom says, explaining how the record was half written away from home. ‘Love Talk’; the crooning schmooze with an arm wave inducing chorus soothes, “I hate leaving the town that owns me,” to the lover who is only a flight away. ‘Giving Up The Ghost’ pulses a dark story of loneliness and stalking a lover through the phone. “I think [the biggest impact that travelling has had on the music] is being able to see different bands in different countries. It's kinda inspiring. You might see a band live and think "ooh, I like that guitar sound." But you wouldn't have seen them unless you were in a bar in New York or somewhere like that.” Tom explains, saying that it’s more a subconscious thing, “It never consumes everything that we do. We're never totally inspired by one thing, it just seeps in.” Despite the difficulties faced in touring, Tom smiles that he simply wouldn’t change a thing and confirms that he’ll always look back on this period of his life fondly. 'Cool Like You' is out now.